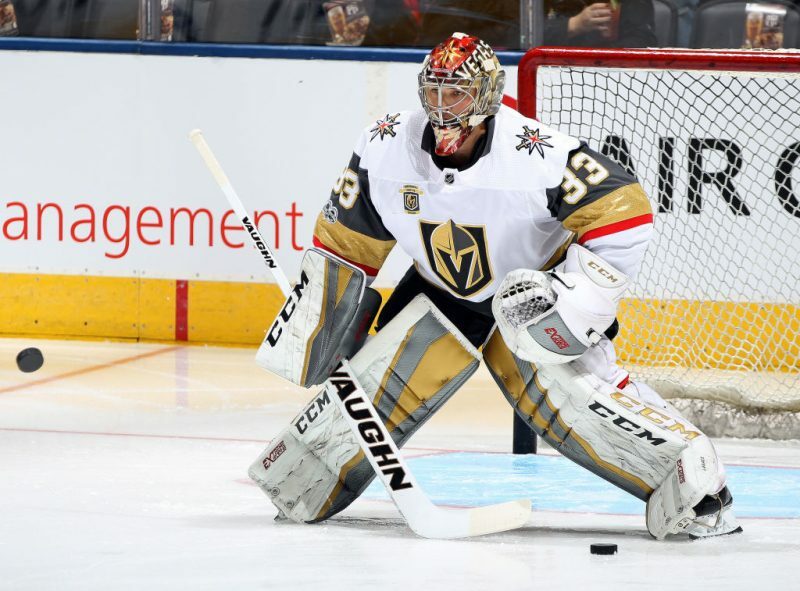 The Golden Knights traded away Pickard because they had a logjam at the goalie position. It didn’t make sense to carry 3 capable goalies at the time, and at the time, Subban appeared to have the higher ceiling. Now, with three consecutive injuries to goalies, Vegas is hoping AHL backup Maxime Lagacé (pictured above) can hold the fort until the cavalry arrives. He hasn’t had a great start though, as he’s 1-3 in games he’s filled in for, in addition to giving up 15 goals. What should be even scarier is the fact that should anything happen to Lagacé, 19-year old Dylan Ferguson is his backup. Pulled out of junior hockey, Ferguson hasn’t even faced AHL competition in his career, and on top of that, he’s sporting a 4.05 GAA and .878 SV% in the WHL this season. This young franchise will try to weather the storm until one of their NHL-capable goalies is healthy. Until then, expect the losses to begin to rack up unless Lagacé can channel his inner Julie “The Cat” Gaffney.